This week I take a look at Disney's Wreck-it-Ralph, a video-game themed family movie with the voices of John C. Reiley, Sarah Silverman, Jane Lynch, and Jack McBrayer. Please help me to reach every movie-loving Latter-day Saint, as well as those not of our faith, by “liking” me on Facebook, following me on Twitter, and by “liking,” “tweeting,” and sharing my posts. Please tell your loved ones. 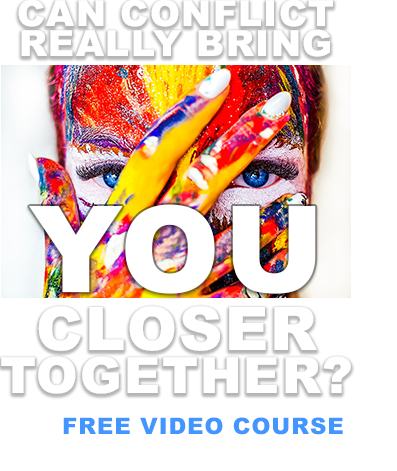 I can't grow without you! 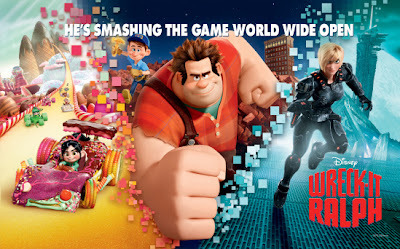 A grin-inducing mix of humor, heart, and retro nostalgia, Disney's Wreck-It-Ralph does for video games what Toy Story did for playthings: it humanizes them by taking a peak inside their “secret world.” The film follows the quest of a lonely 8-bit villain to prove that he can be a hero as he jumps from game to game. Though it starts with an overly-simple story and leans, amusingly if a tad too-heavily, on video game in-jokes, the film evolves into a clever tale of friendship and selflessness. Its various story threads come together smartly, it's very funny, and its character arcs culminate in touching fashion (I'm always embarrassed when “kids' movies” make my eyes tear up). 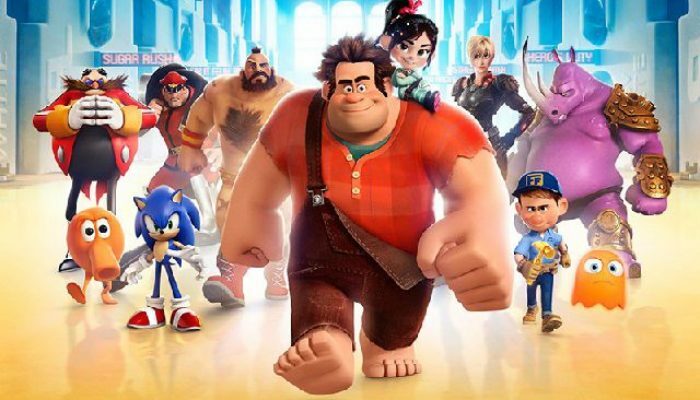 With creative character design and animation as well as excellent vocal work, Wreck-It-Ralph is a can't-lose family night at the movies, even if you're not a gamer. 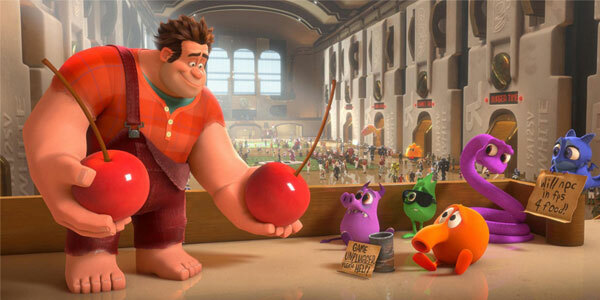 CONTENT OVERVIEW: Wreck-It-Ralph is rated PG. It has no language or sexuality. There are a few childishly crude jokes and instances of name-calling (“booger-face,” etc. 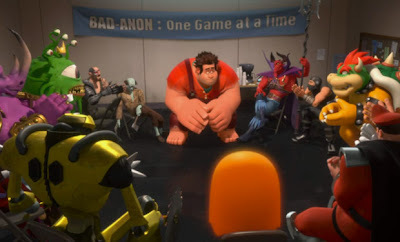 ), as well as mild video-game-related violence. MESSAGES TO DISCUSS: No matter who you are or what you've done, it's never too late to change and do what's right (Alma 26:17-22).